The Wall Street Journal Features Life At The Top. Twice. Two times in recent weeks, The Wall Street Journal featured the Life At The Top team of Jeff Wilson and Daniel Heider in articles on trends in real estate sales and representation. 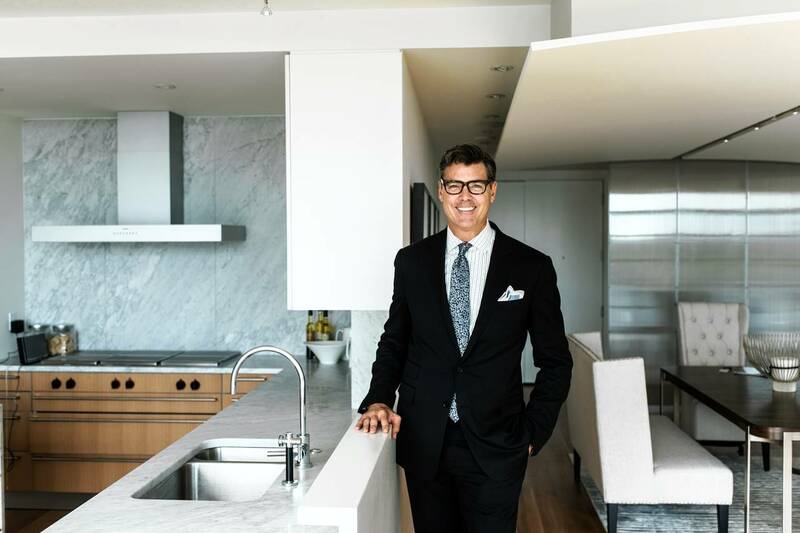 On October 7, a WSJ article by Stefanos Chen titled “The Rise of The Mercenary Real-Estate Agent” included our move in June to TTR Sotheby’s in Washington from our previous firm. While I became a senior vice president at TTR Sotheby’s, my biggest reason for moving was to have more control over our luxury-listings website called LifeAtTheTop.com. As reported in the Journal, “The website, which I spent $250,000 over five years to build, is a boon for business — it appears high in Google searches and generates leads.” I decided to TTR Sotheby’s because they offered additional tech support and allowed us to promote LifeAtTheTop.com prominently. That’s really paying off, and we have already exceeded last year’s sales volume of $56 million. Our clients are quite pleased with the change. My partner, Daniel Heider, contributed to an earlier Journal article in September titled “The Classic Six: A Floorplan Favored For Its Flexibility” by Candace Taylor. The Classic Six design has six rooms: a living room, formal dining room, a kitchen, two bedrooms and what was known as a maid’s room, usually off the kitchen. Besides its popularity in Manhattan, other cities are also seeing an increase in demand for classic layouts including DC. Daniel said empty nesters moving into the city are spurring the appeal. Life At The Top recently sold a condominium with a “very traditional” layout in the Wormley School, a Georgetown building built around 1885 and converted into condos in 2007. The unit featured a Classic Six-style layout with two bedrooms, a living room, a dining room, and a bonus room leading out to the garden. The buyer, a 65-year-old international lawyer, paid $2.45 million for the apartment, which he plans to use as a pied-a-terre on his frequent trips to Washington for work. These articles prove once again that LifeAtTheTop.com is the ultimate resource with the right properties, the right firm, and the right agents. If you’re thinking of a move, you owe it to yourself to start a conversation with Jeff Wilson and Daniel Heider. Make sure you have every advantage possible working in your favor.